Responsible for registering the company’s products in Sri Lanka, Tanzania, Vietnam Myanmmar. Liaise and coordinate with international collaborators to get their products registered in India. Proficiently coordinating with formulation R &D, Finance, Collection of results and Analysis of results. Managing the report compilation and report submission with reports for submission to Regulatory authorities. Handling the in-vitro release pattern of creams, pre marketing assessment studies and post-marketing surveillance studies. Proficiently answering medical queries, accountable for the literature collection and training field personnel. Effectively manage/develop the justification and scientific literature for company products. Foremost in-charge of Therapeutic Monitoring Unit simultaneously teaching the MBBS and MD students. Ramasamy S Suthakaran C Bapna JS Role of GABA-ergic system in metoclopromide and clonidine analgesia Med Sci Res; 17:375-376. 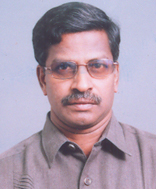 Ramasamy S Suthakaran C Bapna JS Role of GABA-ergic system in prolactin analgesia Clin Expl Physiol Pharmacol; 16:893-896. Adithan C Senthivel kumar B Raveendran R Suthakaran C DAs AK Bapna JS Increased elimination of phenytoin in undernourished type I diabetic patients Ind J Pharmacol; 22:211-215. Suthakaran C Vijayasekaran V Thanikachalam S Clinical evaluation of slow release nifedipine in mild to moderate hypertension (Paper presented in 12th Southern regional Conference of Indian Pharmacological Society Manipal. Suthakaran C Adithan C Rajaram S Compartive bioavailability of two different brands of ciprofloxacin Int J Clin Pharmacol Toxicol; 30:66-68. Suthakaran C Adithan C Rajaram S Sashindran CH Tripath KD Gandhi IS. Pharmacokinetics of ciprofloxacin- Limitations to salivary sampling Ind J Pharmacol; 24:25-28. (Awearded UK Seth Prize). Honored with the B.Uvnas Prize by the Indian Pharmacological Society in the year 1990 for the best work carried out in an Indian Laboratory on Autocoid Pharmacology.